How Do Probiotic Skin Care Products Actually Work? Chances are, you've heard of probiotics in terms of gut health: Often present in fermented foods such as yogurt, they're meant to help support and balance the "good" bacteria with the "bad" bacteria on your insides. But more and more, they've been popping up in skin care products. 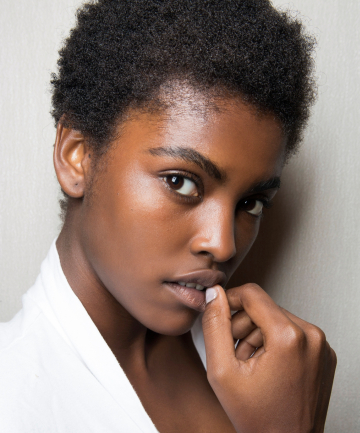 So, how exactly do probiotics affect your skin's well-being? We reached out to HydroPeptide's chief of operations and chief geneticist, Dr. Neal Kitchen, to find out. Turns out, that much like our gut, our skin is also populated with a variety of bacterium, both good and bad. "Our skin has microbiota (i.e., skin flora) that affect the health and appearance of the skin," explains Kitchen. And, as with our gut, probiotic skin care products can help keep things in check: "When applied topically, probiotics and probiotic-promoting ingredients help to balance the pH of the skin and improve the skin flora by combatting inflammation and harmful bacteria on the skin's surface." Other benefits? These "good" bacteria can also help to prevent free radical damage, resulting in better overall skin quality. Kitchen says they have also been proven to increase collagen and protein production while improving oxygen intake (which leads to "more efficient cell renewal and skin healing") and brightening/reducing the risk of hyperpigmentation. Now, with benefits like those, it's worth it for pretty much anyone to give probiotics a try — though Kitchen notes that they're especially good for skin concerns like acne and rosacea, since they help to prevent the harmful bacteria from "triggering inflammation." We're pretty sold on the concept, how about you? Keep reading to see some of our favorite probiotic skin care products.